Our specialist knowledge, experience and ability to rapidly develop products for the most extreme applications, allows us to offer an ever increasing range of products and services. Recently this has included our increasing range of low cost gearboxes for rally, touring and sports cars, giving Xtrac quality at competitive prices. With the capability to provide complete solutions, from a customer requiring a bespoke ‘works’ solution to the supply and support of a complete race series, we continue to lead the marketplace. Emerging low carbon technologies such as energy recovery systems and EV racing open further opportunities. When kinetic energy recovery systems (KERS) were introduced by regulation, Xtrac were at the forefront of the technology in F1 and were the first transmission supplier to provide a KERS compliant customer transmission in the Le Mans 24 Hour race. 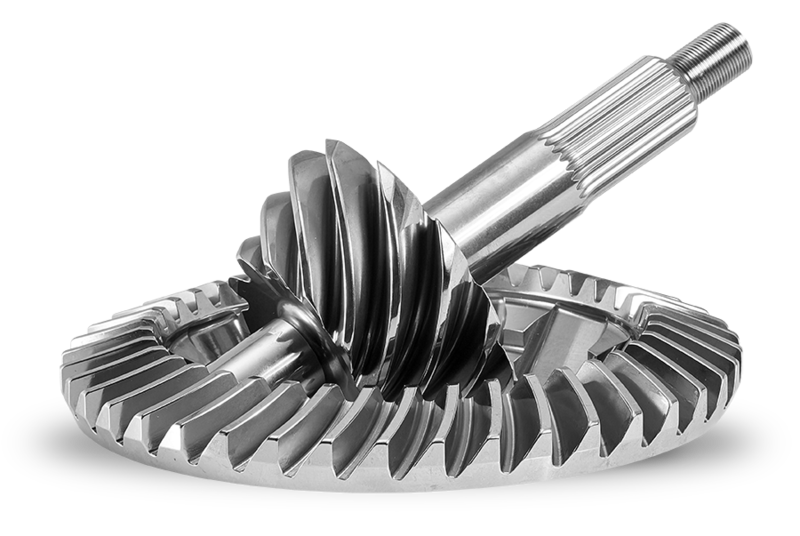 From supplying complete F1 turn-key gearboxes, including complex hydraulic systems and technical support at the circuit to supplying internal component packages and Engine Timing Gear drive train solutions, we can also manufacture to customers’ specific requirements on a “Make to Print” basis for transmission and Engine Timing Gears whilst offering the unique Xtrac advantage of our extensive experience. Xtrac’s association with IndyCar as their exclusive transmission supplier dates back to 2000 with the current exclusive supply contract for gearboxes and spares running until 2022 inclusive. Xtrac’s proven track record for reliability is exemplified in the various GT and endurance championships throughout the world. Daytona, Sebring and Le Mans are amongst the most arduous and our capability extends through Petrol, Diesel and Hybrid solutions for manufactures and teams alike. We have been chosen as preferred supplier by many constructors and along with being an approved supplier for the IMSA Tudor United Sportscar Championship series and SCCA GT & GTS categories we have exclusive supply contracts with Sportscar and Stockcar championships and constructors. NASCAR Sprint Cup and Xfinity series' are supported directly from our office in Mooresville. Dating back to the inception of the company, our four wheel drive systems for some of the world’s most grueling events have helped our customers’ to victory. Events such as the Dakar Rally Raid push the demands on transmissions to extremes and with the added torque from modern racing Diesel engines a transmission has to be designed to the highest level possible. Utilising experience gained in endurance events such as the Dakar has allowed us to build multiple gearbox ranges which supply top level manufactures in WRC and numerous other championships around the world. Xtrac revolutionised Touring Car racing in the early 1990’s with the introduction of affordable sequential front and rear wheel drive transmissions, which have now become the norm in top level Touring Car championships. We now have exclusive supply contracts in British Touring Cars, TC2000 and Super TC2000 in Argentina and the Marcas series in Brazil. World Touring cars, TN in Argentina and many other national and international series’ are supported with product from our ever-increasing range of gearboxes and differentials. By utilising the layout of a racecar gearbox in a motorcycle gearbox casing, the flexibility of being able to change each ratio to fine tune rev drops can be achieved. Our expertise at package optimisation allows the racecar layout to be used in the same packaging space. Whether a simple replacement gear kit for an existing casing or a fully bespoke cluster package is required, we can provide the optimum solution based on our experience in top-level categories from AMA Supercross and Motocross through to Moto GP. The implementation of sophisticated analysis and simulation software has complemented, but not replaced, traditional forms of testing and validation. All aspects of the transmission and driveline therefore are rigorously examined on dynamic test rigs in the research and development laboratory with the aim of reducing friction, increasing mechanical efficiency, optimising noise vibration and harshness (NVH) performance, while also improving transmission and driveline reliability. Xtrac offers its customers test and event support, providing a comprehensive technical support service. Throughout the life cycle of an Xtrac product, our expertise and advice is only a telephone call away. Whilst Design Engineers are assigned to each project to provide technical support, a Business Manager, working closely with the Production Department, provides a continuous point of contact for commercial issues from initial enquiry, through to delivery and ongoing project support. Clear communication is vital and Xtrac provides its customers with key data including; progress reports, parts lists, service manuals and technical bulletins.